Please call owner Archie at 804-347-0177. 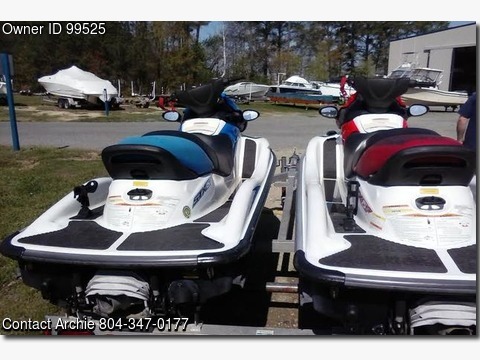 They are located in Hudgins, Virginia.Red blue twin jet skis. 3 passenger. Only about 100 hours on them. Just spent $2700 on tune-ups.Ready to go!